From the festive music to the shades of red and green that sparkle while the lights are on, there’s nothing like having a Christmas party with your friends. You could host a party where everyone brings a gift or a cookie recipe to exchange or host a party that is a bit more elegant with champagne and dancing. Before anyone comes to your party, you need to invite them using a few creative ways that blend well with the holiday season. Aside from phone calls and text alerts, people usually receive notifications when there is a new email to read. 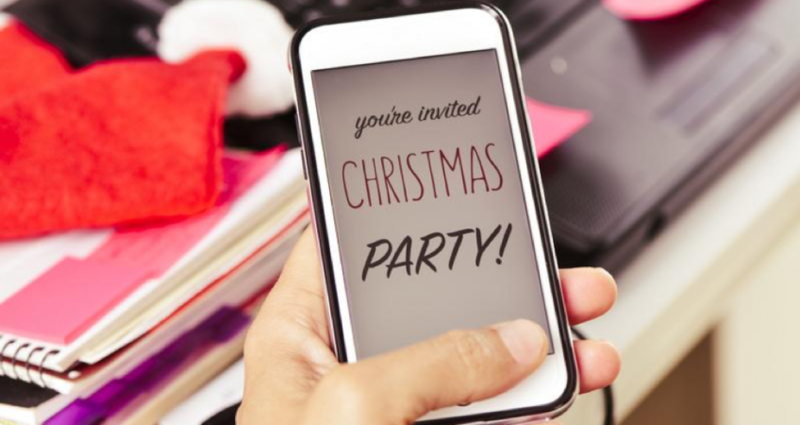 Those who use a computer on a daily basis almost always check their emails regularly, which makes sending a fun Christmas party invitation through an email message simple and fast. You can make your own design using images that you find online or use a program like Paperless to create an invitation that you can copy and paste or download to your email message. If you’re planning a fun party where guests can make a craft, then send an ornament as an invitation and as a way to indicate some of the things that guests can expect to do at the party. Use a different ornament for each person on your invitation list. You can request that the ornaments be brought to the party so that guests can customize them to hang on their own trees at home. Since many people have their mobile devices on during the day to check for phone calls and messages, use this to your advantage by sending out text message invitations. Text invitation apps like Invitd make sending invitations easy when you’re too busy for crafts. App like this feature various designs and templates for almost any kind of event that you’re planning. All you have to do is enter the details, such as the location and time, and send the invitation to one person at a time or as a mass message. Although singing telegrams aren’t as popular as they once were, a singing invitation is a bit different than a traditional piece of paper in the mail. Dress up like a Christmas character or something that people would associate with Christmas. When you get to the person’s home or office, start singing the details of the party in a holiday tune. If you feel a bit embarrassed to do something like that on your own, you can always hire a performer to do it for you. This is another option to consider if you’re planning on letting guests make something at your party. Make cookies or cupcakes with a few details about the party, delivering your baked treats to your friends. While some might be able to figure out what you’re doing at your party, many will simply think that you’re giving them a sweet dessert to enjoy as an invitation to an event. Part of the fun of a Christmas party is inviting your friends and seeing their surprise when they arrive at your home. Make sure all of your decorations are in place, the food is on the table, and all of the supplies for any crafts are in order so that you can enjoy the time with your guests. You can use the same method for your invitations to send thank you cards after the party. If you need help with your Christmas lights, because you’re busy, you procrastinated, or otherwise, don’t stress! We can help you have a beautifully lit house for a reasonable price, and not only that, but it’ll be something you and your family can enjoy for years to come!